Good news as i should finally get my Mac Book Pro back tomorrow afternoon! 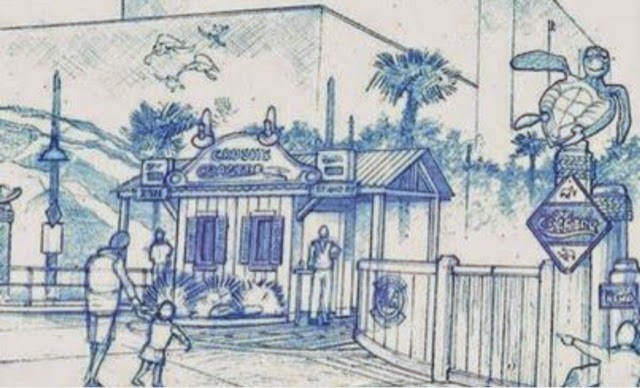 In the meantime, a short news from DLP WDS as the concept art above shows the new entrance of WDS Crush Coaster. The theming of this new entrance should be faithful to the ride storyline and it will allow access either to the normal queue line or to the new - and very welcome - single rider queue line.